Where are Haitian Voices in the UN Remedial Process for Cholera? The injustice perpetuated by the United Nations continues as little action has been done to reduce cholera, offer remedies to those affected, and incorporate victims into the remedial process. The UN has promised to help reduce cholera and provide collective reparations, such as health centers and schools. 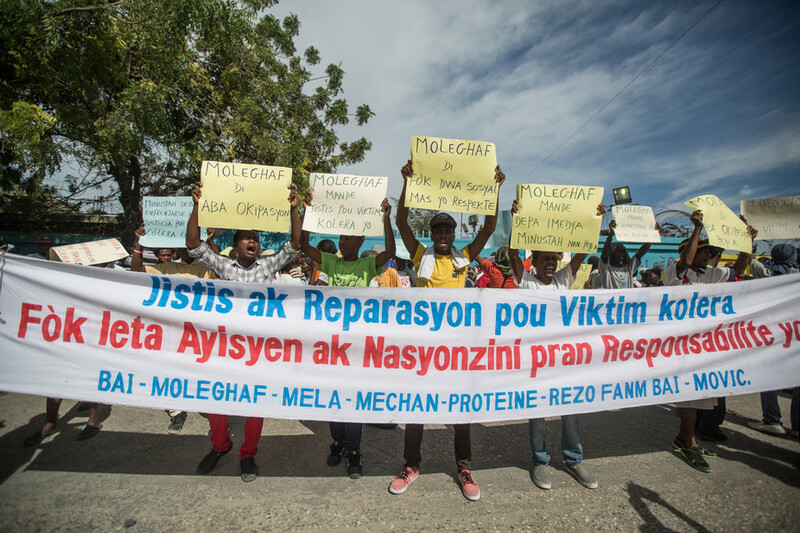 However, many Haitian victims prefer individual reparations, including small cash transfers that will allow them to rebuild their lives and reduce the debt incurred from travel to hospitals or funeral costs. Additionally, many are distrustful of the UN and any promises for community development, and they will likely remain wary of these promises until individual lives start to improve and cholera is no longer a threat.